1.Size for 3-10years girl ,Material: Cotton . 2.It Has Soft Comfortable Cotton Material, Short Cap Sleeve, Open Front. 3. 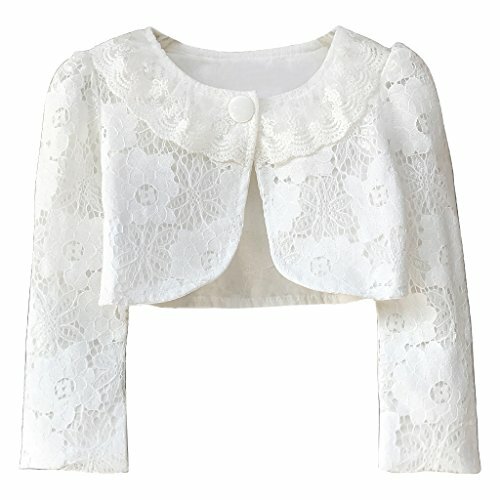 Knitted Cropped Bolero Cardigan Top Which Gives Exclusive Look With Sleeveless Skater Dress. 4.Soft Comfortable Fabric Perfect For Casual And Evening Wear. If you have any questions about this product by Ourlove Fashion, contact us by completing and submitting the form below. If you are looking for a specif part number, please include it with your message.